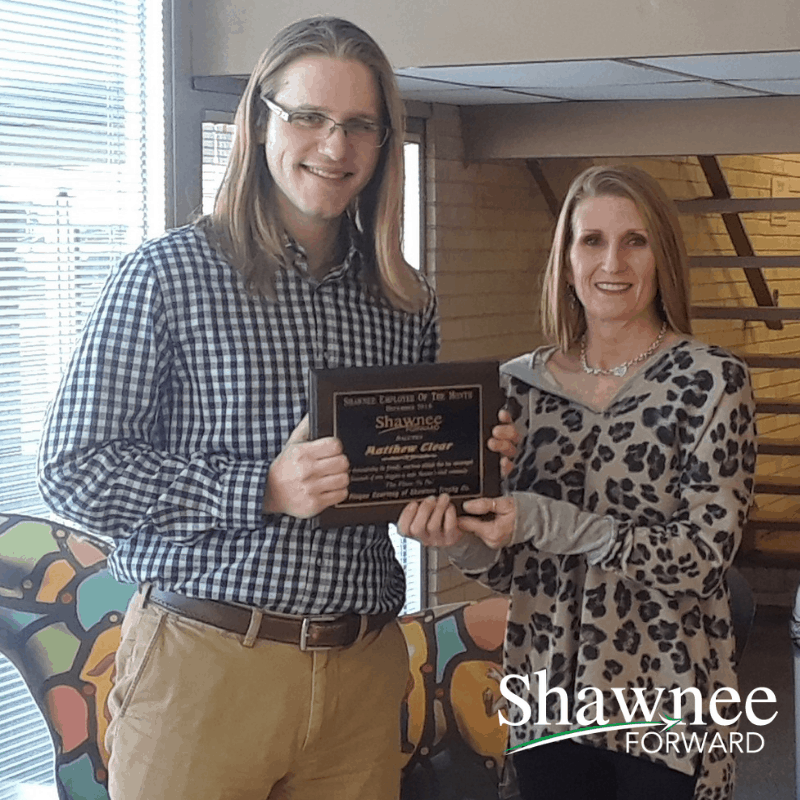 Matthew Clear of Visit Shawnee was awarded the FEOM for December 2018! The FEOM is chosen by a year-long volunteer secret shopper who is the owner or employee of a business that is a member of the Shawnee Forward Business Alliance. This individual is often chosen because they are known to be someone who is #shawneeproud. This means they make an effort to support others in our community by volunteering their time and/or spending their dollars locally when they are dining, shopping, or having some fun. Every month the secret shopper chooses an employee from a local business who has displayed outstanding customer service, something everyone loves to see from our great business community! The 2018 Secret Shopper is Steve Palmer, CEO of Neighboring 101. The sponsors of the FEOM Program are DEMCO Printing, the Shawnee Trophy Co., and the Shawnee News-Star.